It's a lot of fun to photograph weddings that represent different cultures. 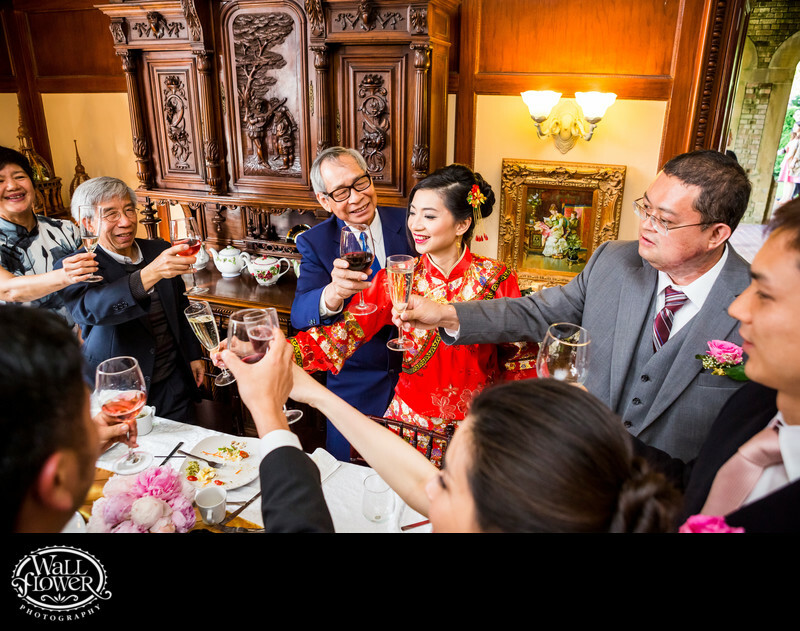 This Chinese-American bride spent most of her wedding day in a traditional American-style wedding dress, but changed into a Chinese wedding dress of red and gold during her reception. Here, I held my camera overhead to capture this view on a family toast to the bride and groom as they visited all the tables at their reception inside Thornewood Castle in Lakewood, Washington, near Tacoma.